Keeping students engaged in learning should be at the top of my list of to dos as a teacher. The reason behind it is simple. If I am working hard on a long list of lesson related items but fail to engage my students in the day to day experiences in my classroom, then I haven’t succeeded with any of the other items on my to do list! When students are not engaged in the learning, teacher is left worn out and frustrated. 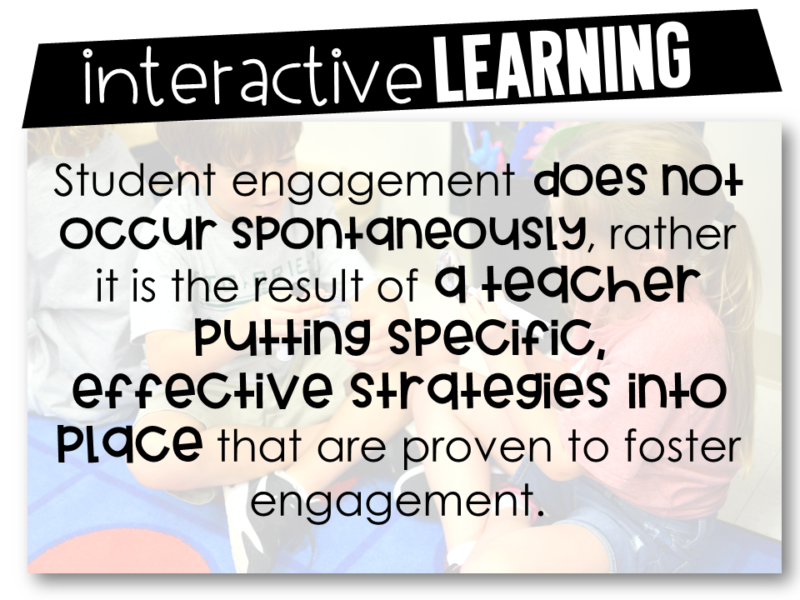 So how do we keep students engaged in the classroom? What’s the answer? 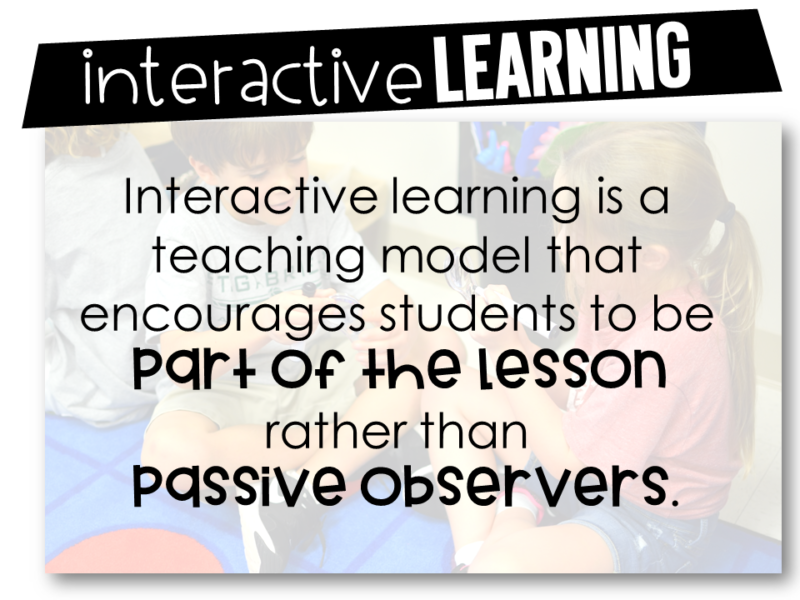 How do I make an Interactive Classroom? Creating an interactive classroom is easier than you think. I will walk you through it and share how to make it happen in your classroom! 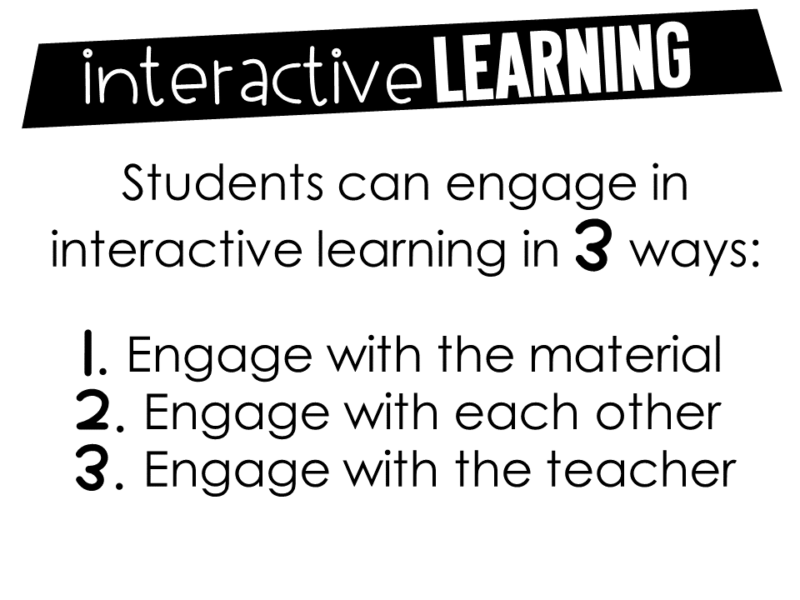 Let’s start with three ways to engage our students! Students have chances throughout the day to actively apply their learning through the use of classroom manipulatives and lesson materials. 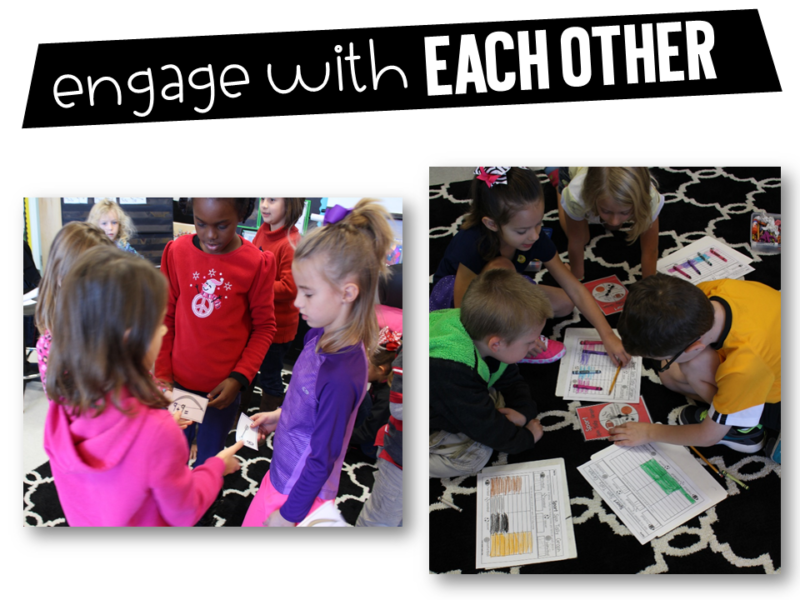 Students are allowed structured conversations, interactions, and collaboration throughout the learning day. Built into the learning day, students have time to meet with the teacher as they learn and apply concepts. This is small group targeted instruction that meets their needs. 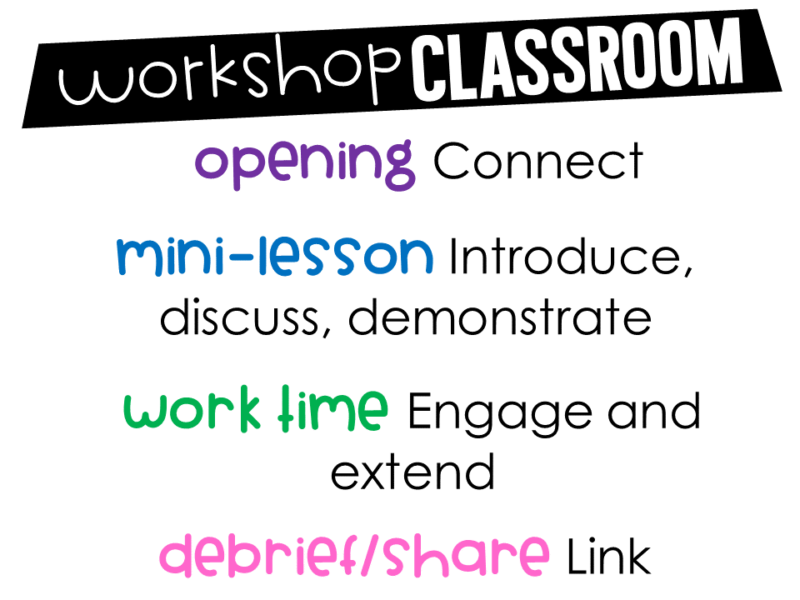 Using the workshop classroom model allows teacher to engage students in all three ways listed above throughout each day. Students remain active learners and once established, the workshop classroom runs itself! It is actually the easiest on the teacher, and most effective use of time when we are already trying to cram so much into our learning day! Below you will find the basic outline of a workshop classroom. I will further breakdown these four components with examples and pictures. 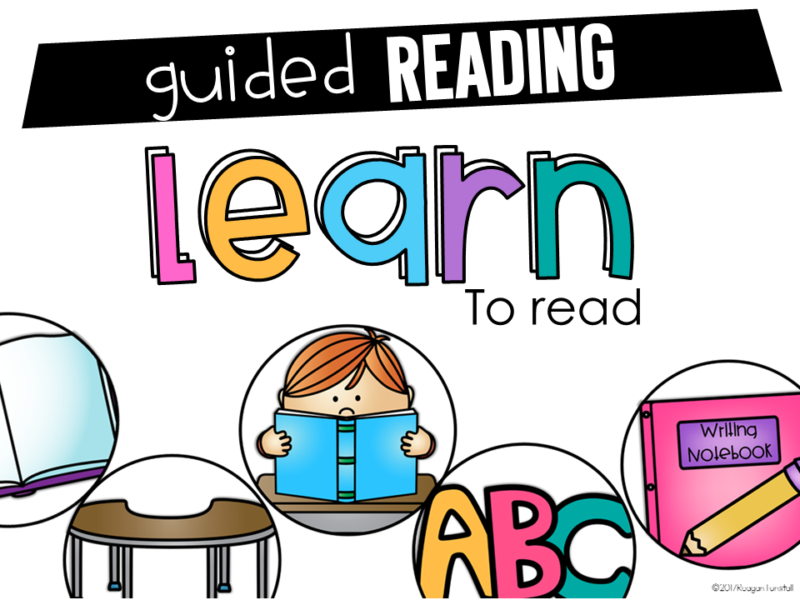 Let’s begin with guided reading in a workshop classroom. We will begin our opening to engage learners by connecting to previously learned concepts to our new objective for the day. Next we will conduct our whole group mini-lesson introducing and explaining a new focus, skill, or strategy. During this short mini-lesson we will model our thinking out loud as well as how we apply the skill being learned. Finally, we engage our students in public participation through a quick guided practice on our lesson objective. 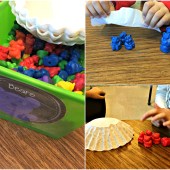 This can be as quick as partner turn and talk, responding on whiteboards, or perhaps through the smart board or a pocket chart activity. In the back of teacher’s mind, we know we will have a small group lesson with our students to really dive into the concepts each student needs. This helps teacher keep that mini-lesson short. It’s hard to cut it off sometimes, but we want to save the majority of that instructional time for our small groups and rotations! 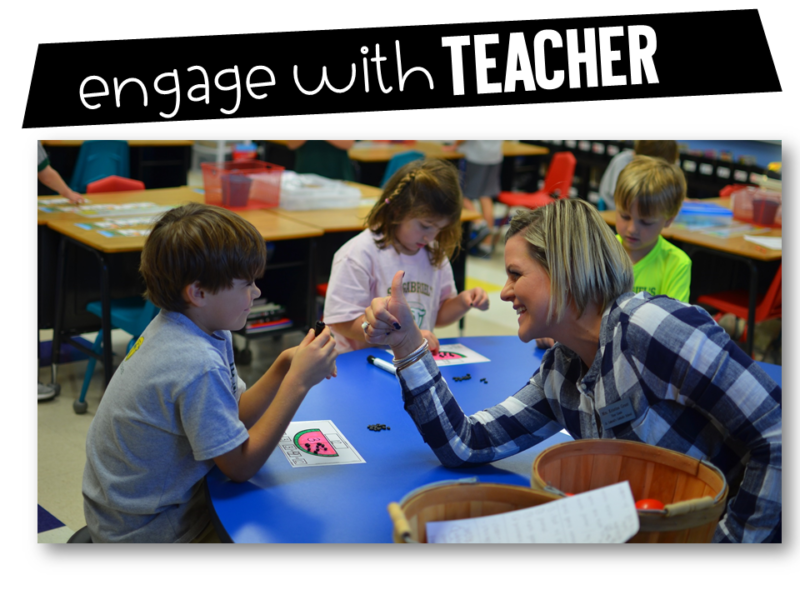 The small groups work-time is when we see the engaging classroom workshop model in action! A few years ago, I began using an acronym called L.E.A.R.N. to read. I wanted to create 5 rotations that would suit the activities that I wanted students to have exposure in. This allowed me to meet with 5 groups per day. Now this is just my system, but you can take this info and adjust it to any amount of rotations and activities that work for your students too! 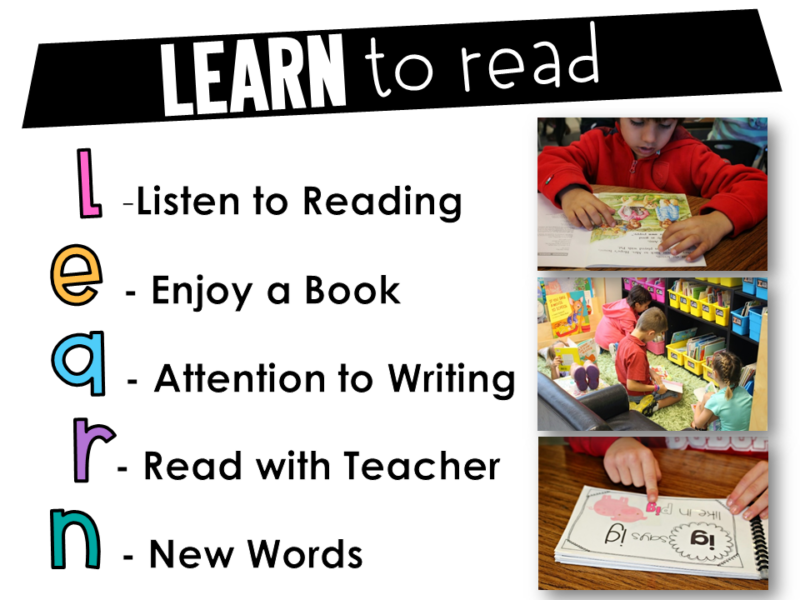 What is LEARN to Read? Each letter in learn stands for the type of activity students will be engaged in! 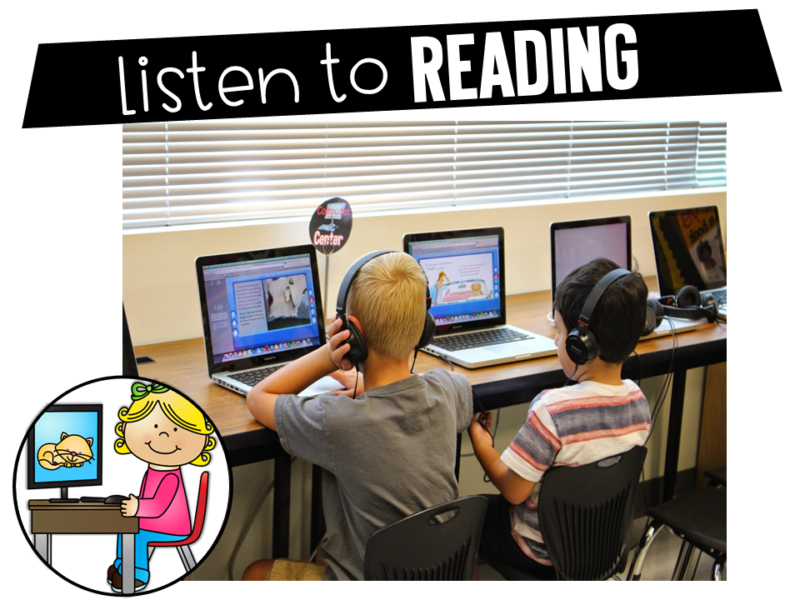 At the Listen to Reading stations, students work on reading fluency, expression, and comprehension. This is done by listening to a story and responding to comprehension activities as a follow up. This can be done in a variety of ways. Many times schools and districts have reading programs or teachers have created a library of books that students can listen to and respond. 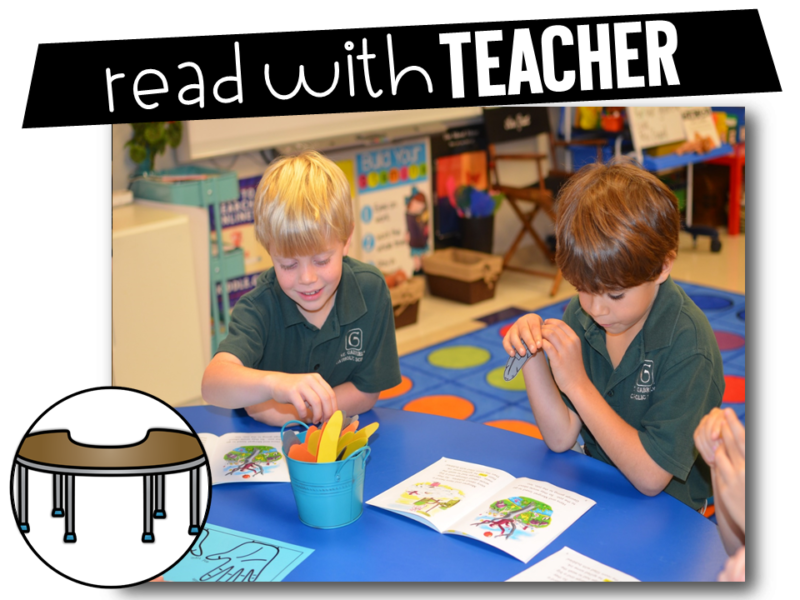 This rotation allows students to practice reading from their own book box. Inside the book box, students have leveled readers, sight word books, and flipping through phonics books. These choices allow students to have targeted practice with texts that meet instructional levels. A few years ago leveled my classroom library and even color-coded it so I could eliminate any “fake reading”. This change made a HUGE difference. Students are able to explore different types of text at a level that they can be successful with. 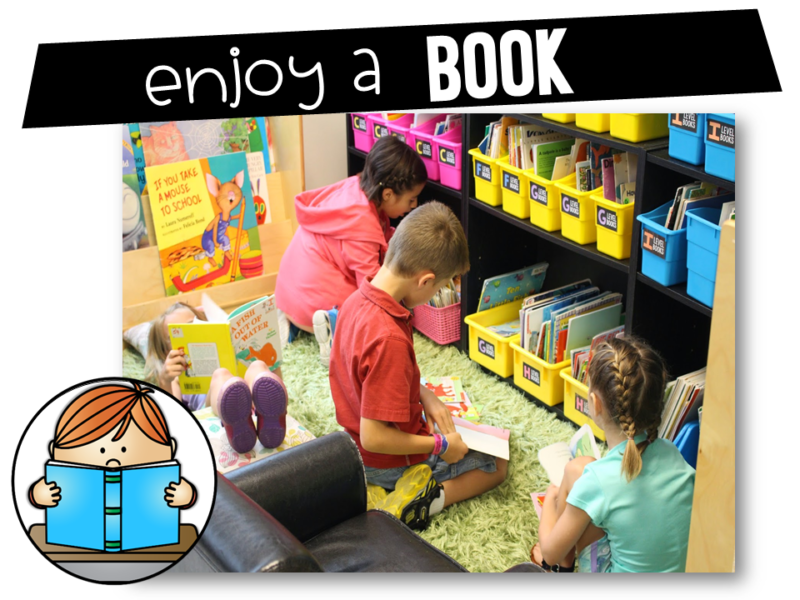 The author studies, themed books, and special topic books come out all year when they are needed, but are not a part of the classroom library. This is a favorite rotation! It used to be something I dreaded as the teacher because I knew the engagement was iffy at best. 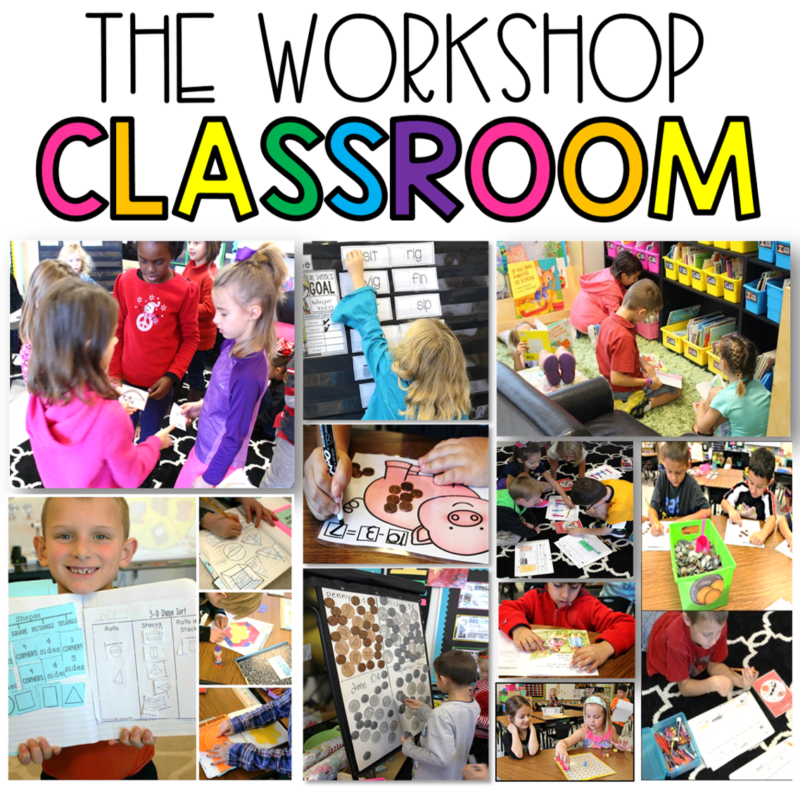 I focused on this center for an entire school year creating different resources that would provide structure, creativity, and engagement through out the year. 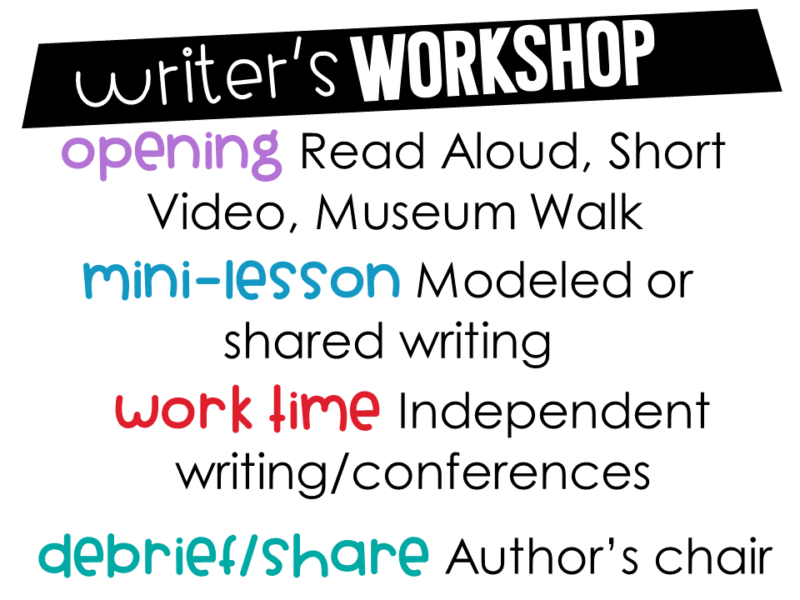 Each different resource provides a set of skills and I would use them through out the year at different times based on what we were learning in writer’s workshop, science, and social studies. 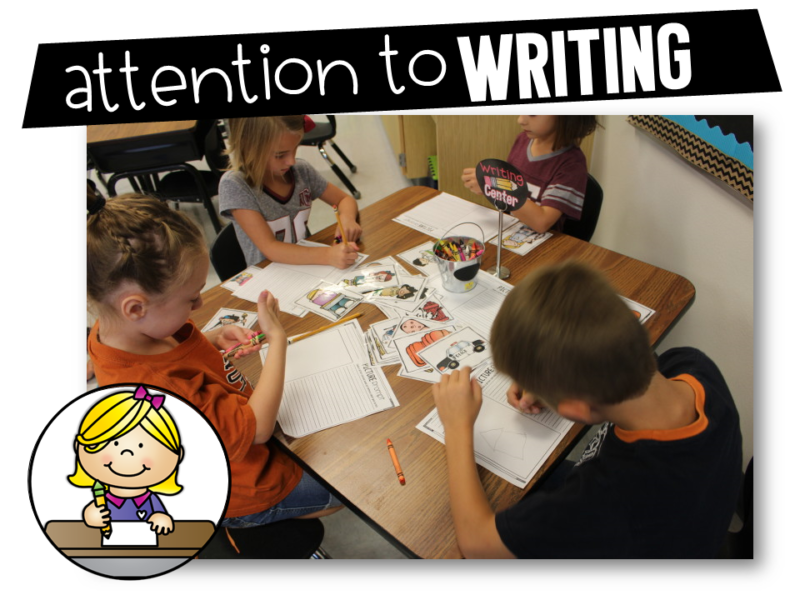 Students need time to write if they are to improve in writing. Being told to come up with a writing activity or prompt everyday on their own, is impossible and leads to off task behaviors. Students don’t have enough life experience or writing knowledge to be able to keep that going day after day. The small group guided reading lesson is going to vary for each group, but I have a resource that will provide 90 different scaffolded activities per month for you to pull from to help enhance any text, and any level of learner! 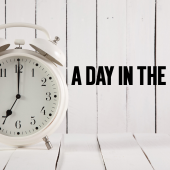 Providing a variety of teaching posters, comprehension instructional tools, and literacy activities, keeps our lessons fresh and fun day after day. When it comes to phonics, word families, and spelling, having a system is crucial! 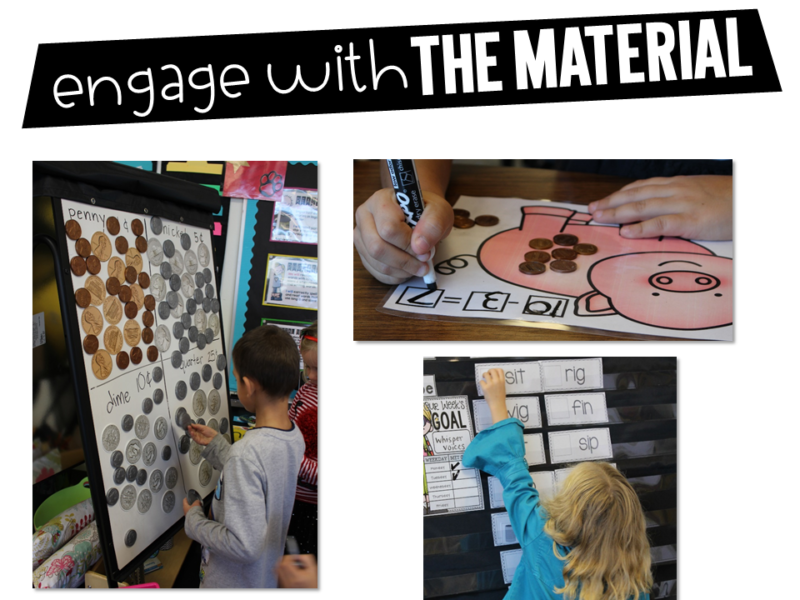 This was another area where I was overwhelmed and had to spend a year focusing on creating materials to provide all of the opportunities that would allow my students to master all of the new words weekly throughout the year! 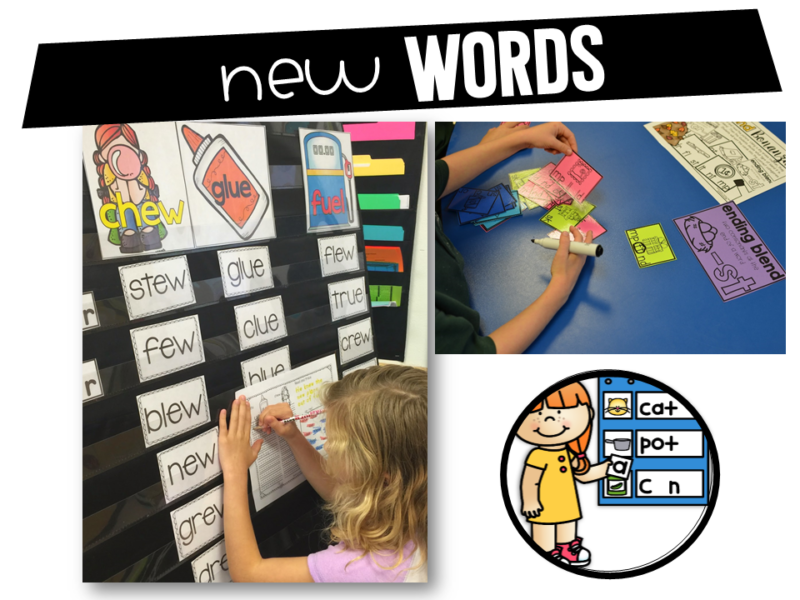 When students go to the new words rotation, they have a set of activities ready to go for each day of the week. I put them in a 5 drawer tower from Sterilite that is listed Monday through Friday right on the drawers. The resources for the drawers are below. When it comes to the workshop classroom, management is a huge factor. Being consistent and having explicit directions followed up by a structured rotation system, ensures that you will have a classroom that runs itself! I created an editable rotation system that can be put on a wall or projected with a timer and signals for rotating. There are options built in such as having 3, 4, or 5 rotations as well as choosing the icons for the activities you would like for students to participate in. Here’s a little video sharing how easy it is to edit this system. Guided math is my personal favorite time of the day. I fell in love with the math workshop structure and conducting guided math groups back in 2003 when I first began experimenting with this approach. 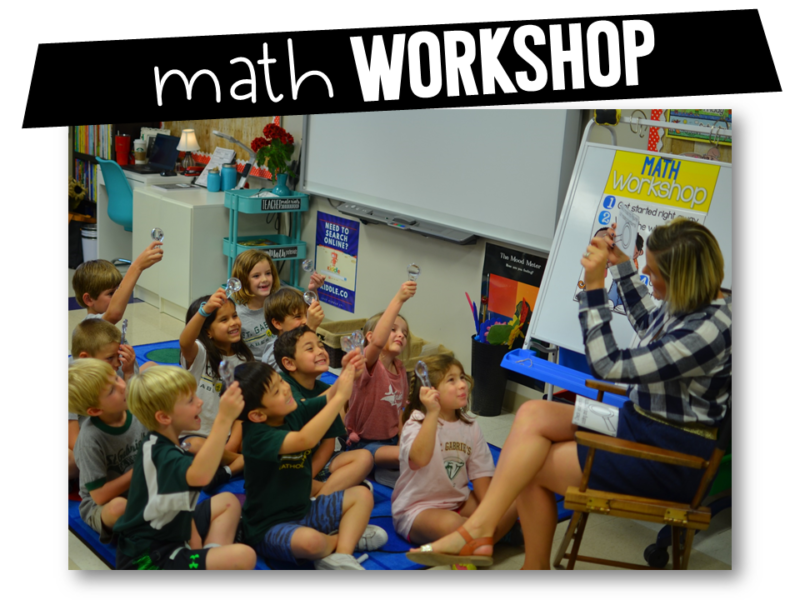 I have many different blog posts on guided math if you want to continue to gain new information beyond this workshop classroom breakdown. 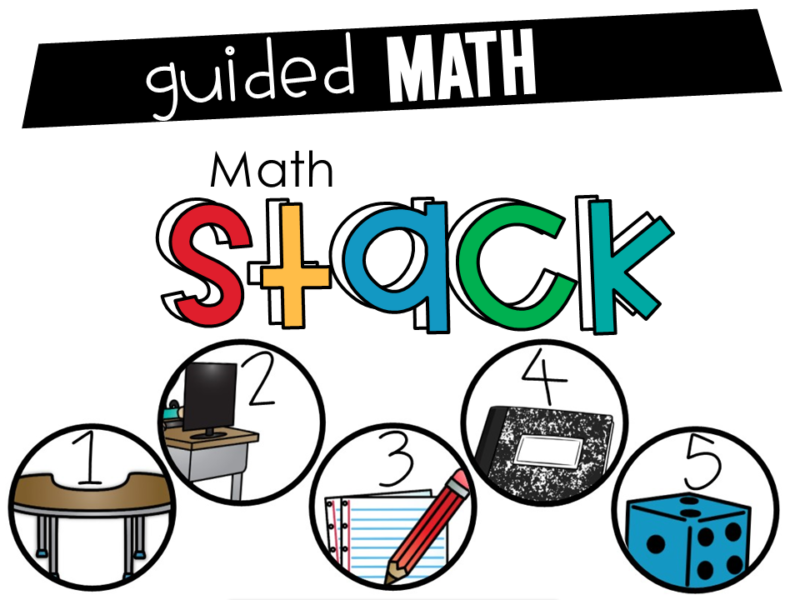 Guided math follows the same format as the guided reading block. Students begin with a warm-up and mini-lesson and then flow into small groups and rotations. 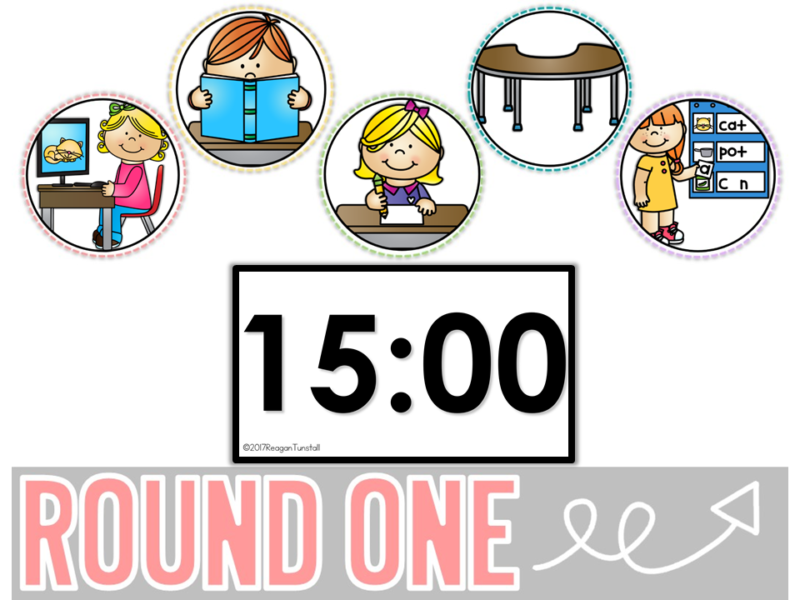 The guided math warm-up is a short spiral-review activity to connect to student’s learning and continue to build on their fluency and accuracy in those concepts all year long. 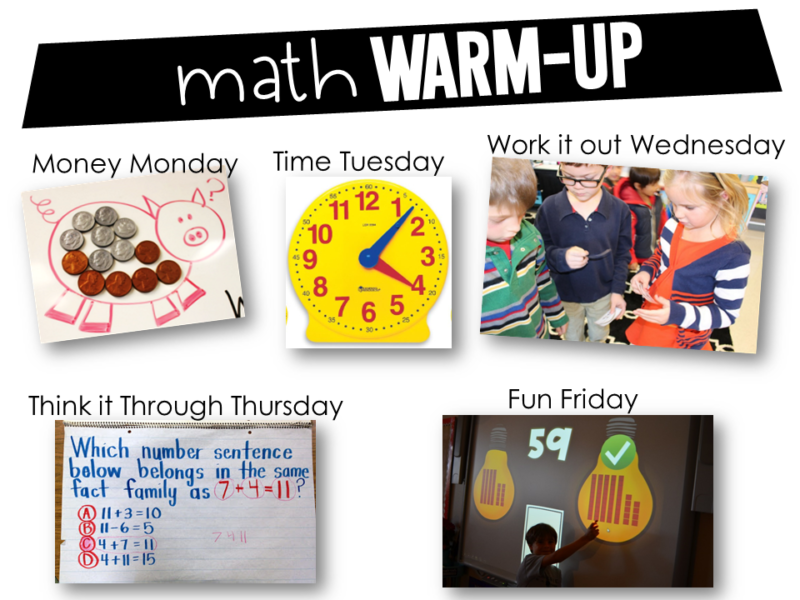 Here’s an example week of math warm-up ideas. I like to use alliteration to help remember to incorporate it daily. The purpose of a guided math warm-up is to have students strategize together sharing mathematical thinking. 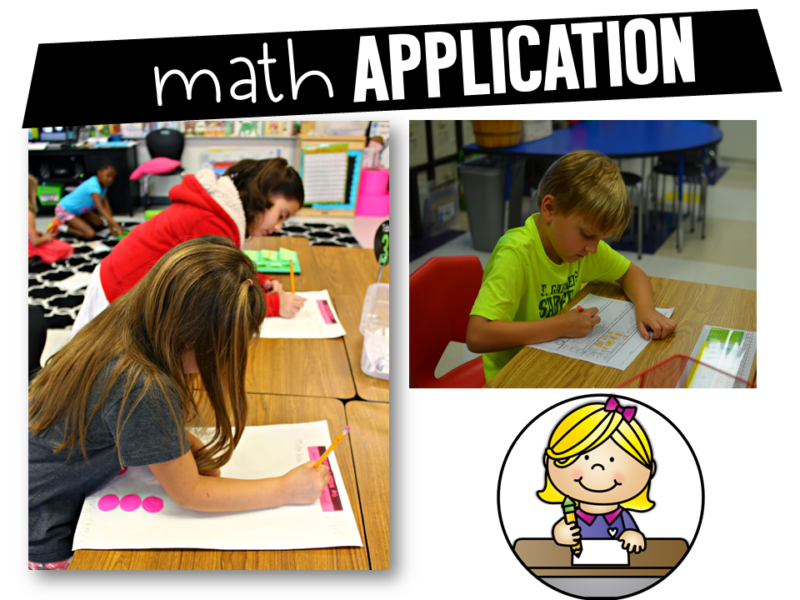 The goal in a math mini-lesson is to get the concept across on a level playing field. We know our students all have different needs. The small group time will allow us to address these needs. 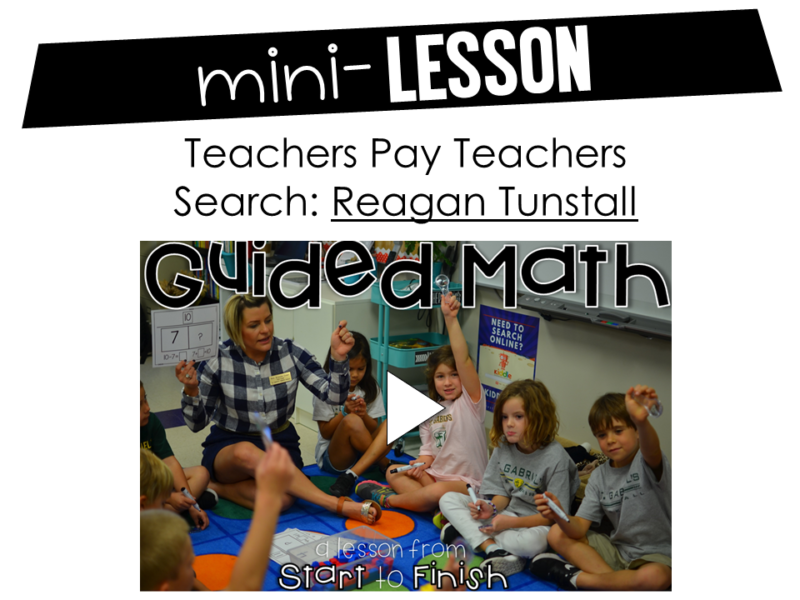 I have a free video on TpT that will take you through a guided math lesson from start to finish. You can find it by clicking the picture below. On the small group rotation explanation, I also have a resource with mini-lessons for every day of the year grades K-4. Just like we follow LEARN for reading, we also follow a different acronym for math rotations. This is called math STACK. The acronym stack allows me to provide 5 different activities for students to complete during rotations. Just like reading, this is customizable for any classroom. You may prefer three rotations or four rotations. 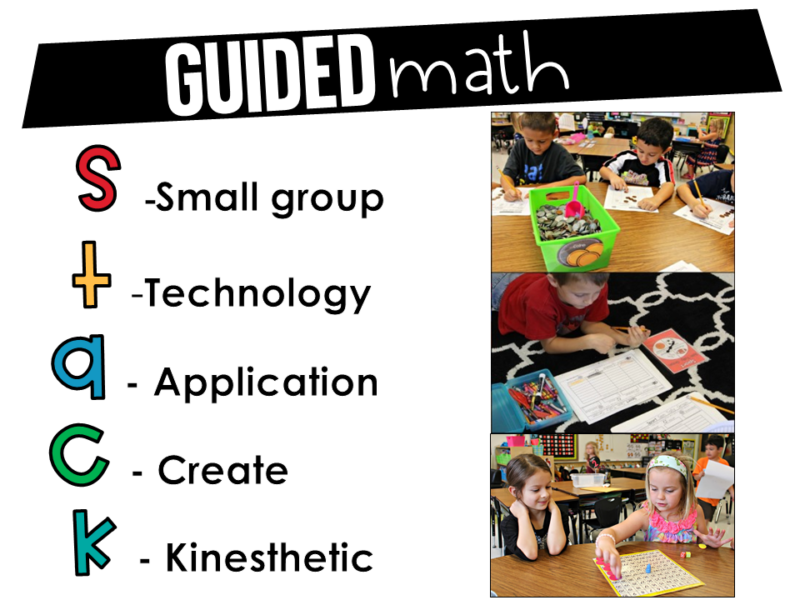 The guided math structure is flexible. Each letter in the word stack is a rotation activity for students. 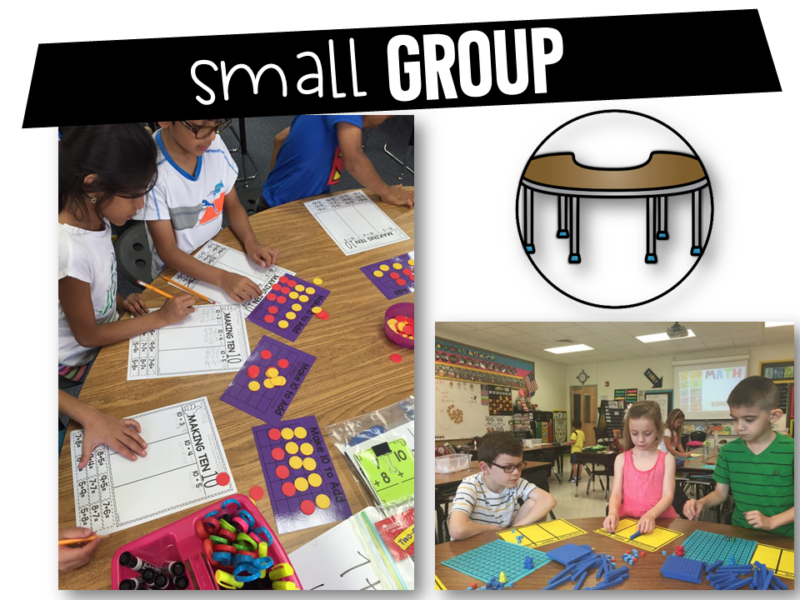 The small group table in math allows teacher to meet with leveled groups of students. Meeting with leveled groups of students ensures that students work through the math concepts at a level of understanding and development that matches their unique needs. Many times with big box curricula it is hard to know how to break down lessons and differentiate because they are typically built as a one size fits all. This is one area that I feel I have been able to make a difference for teachers. 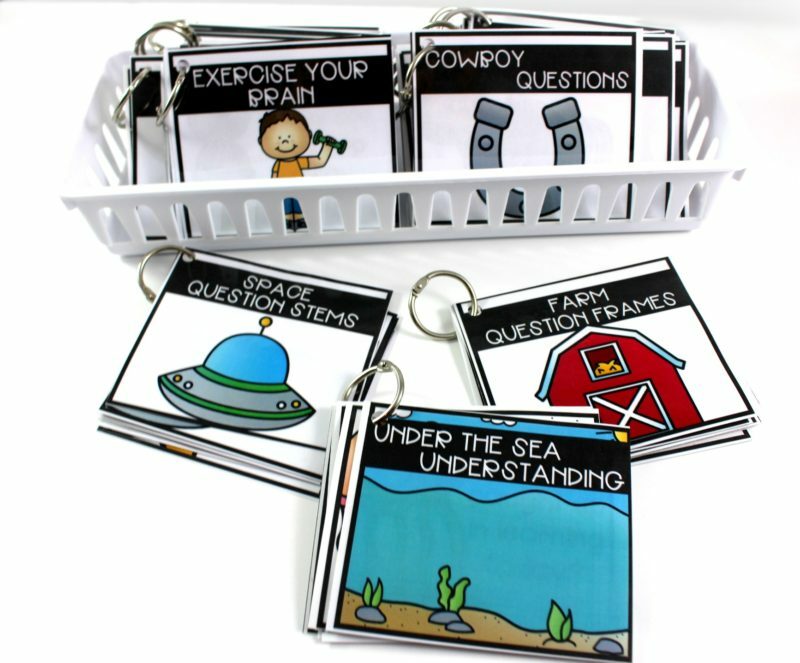 I have created standards based small group lessons for grades K-4 for the entire school year from day 1 to day 180. 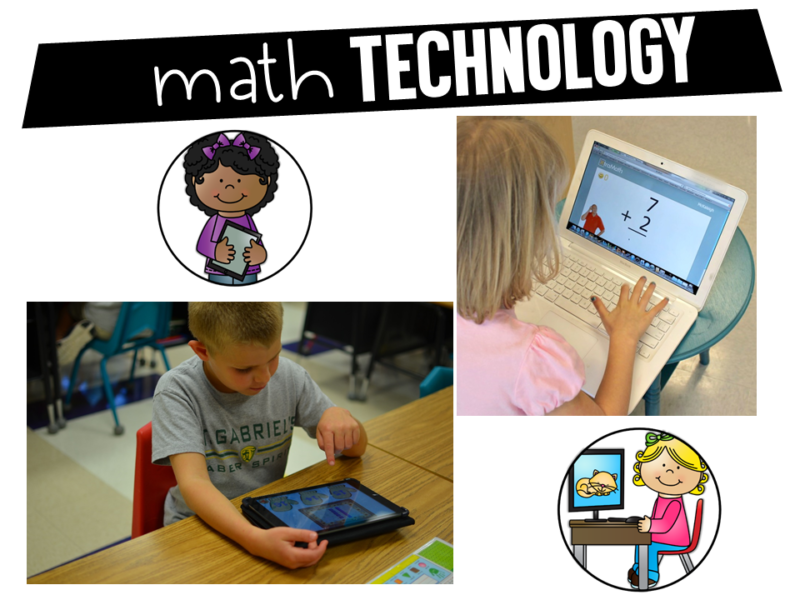 The technology rotation is a way for students to practice previously learned skills and concepts on a device. Students can work on digital games, digital task cards, math websites, apps, and more. This is an independent practice station where teacher can take a daily grade. 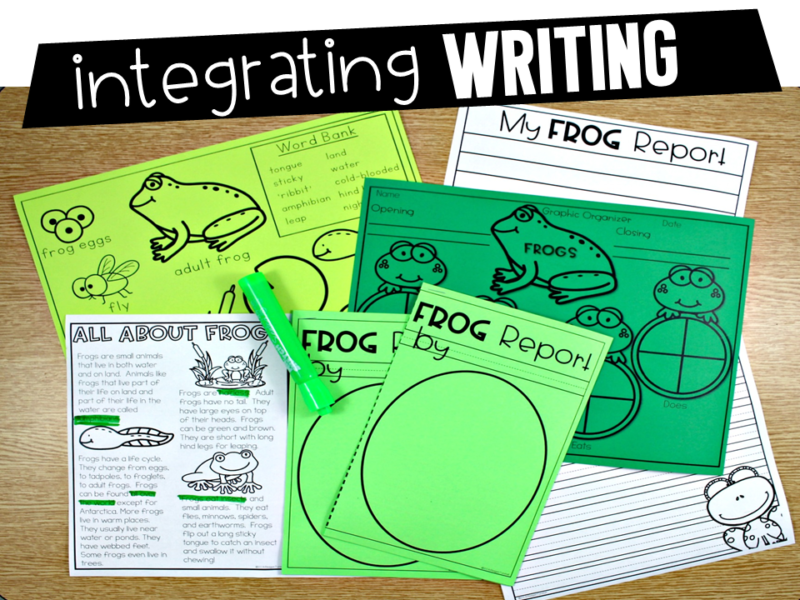 This rotation can be a printable or a workbook page. 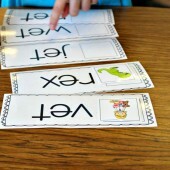 Any sort of independent practice activity for students that allows students to apply the learning independently. The activities can be differentiated for the groups and can be both spiraled review or new concepts. The math journal rotation is a student favorite! They have pride of ownership. I love that it is a record of learning through the year as well as a window into their mathematical thinking. 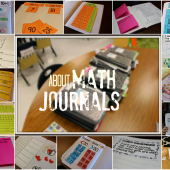 I have math journal activities for the entire year for grades K-3. No guided math block is complete without hands-on math centers. This is what we traditionally think of when we think about math workshop. 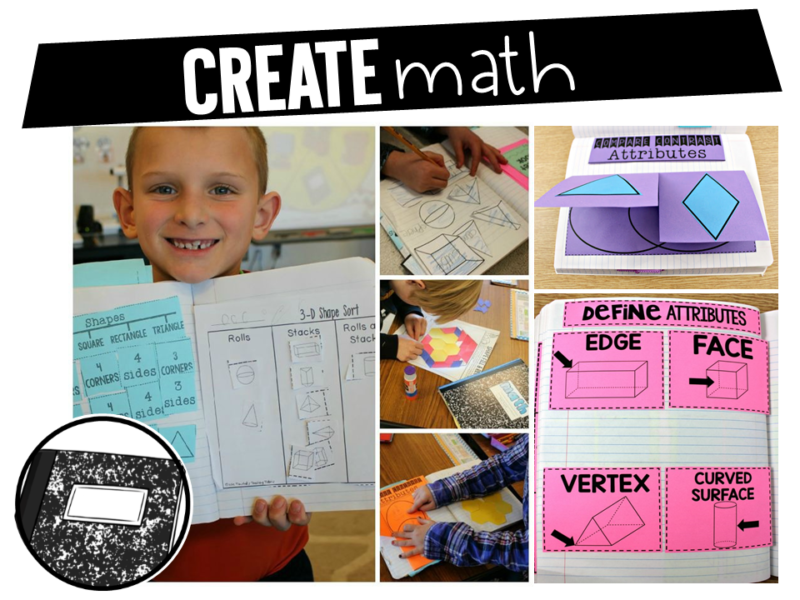 These are hands-on math activities that students can work through in partners, groups, or individually. 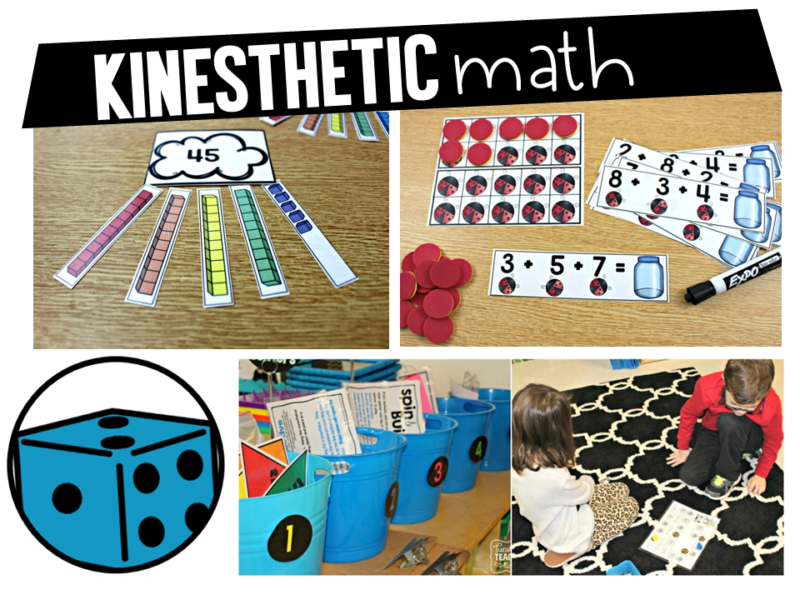 I have guided math centers for K-4. 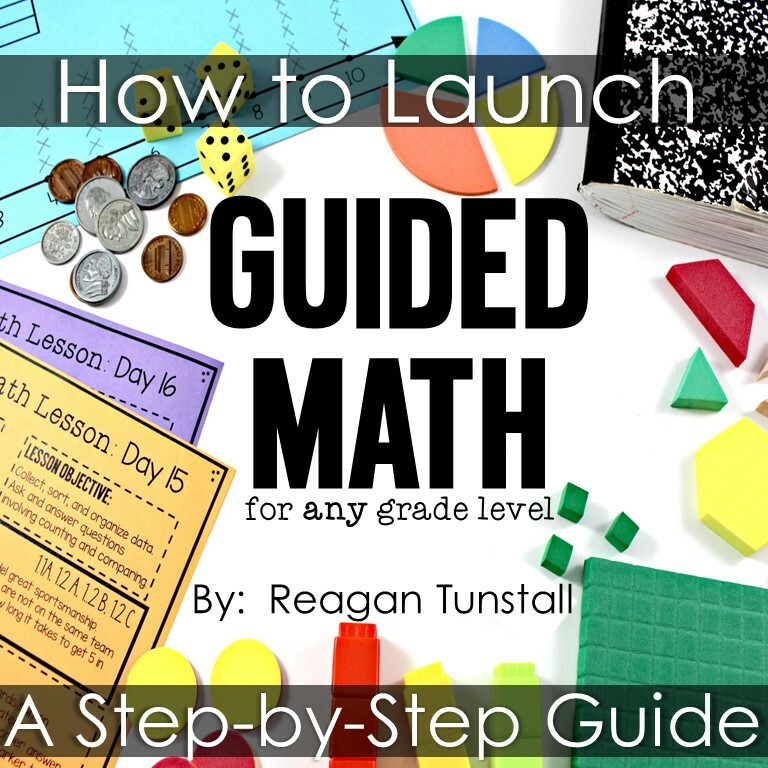 For a step by step free guide for launching the guided math workshop download this launch guide. It will give you more detail as well as the order of how to introduce the activities. 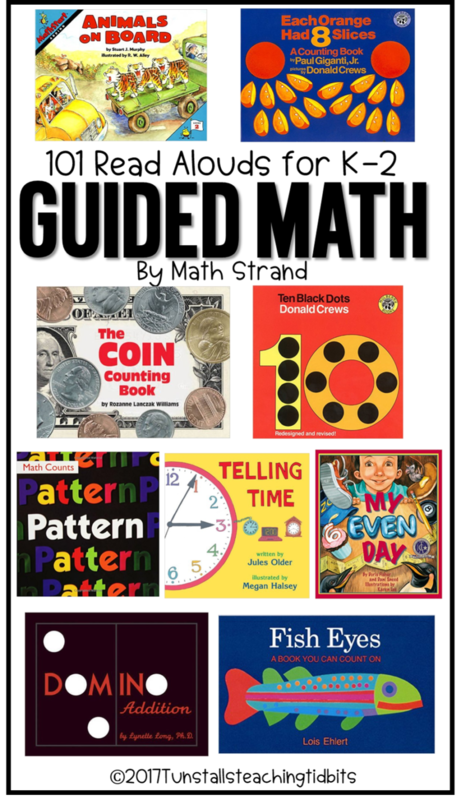 For another fun freebie, check out this list of terrific read-alouds to accompany your math lessons throughout the year. 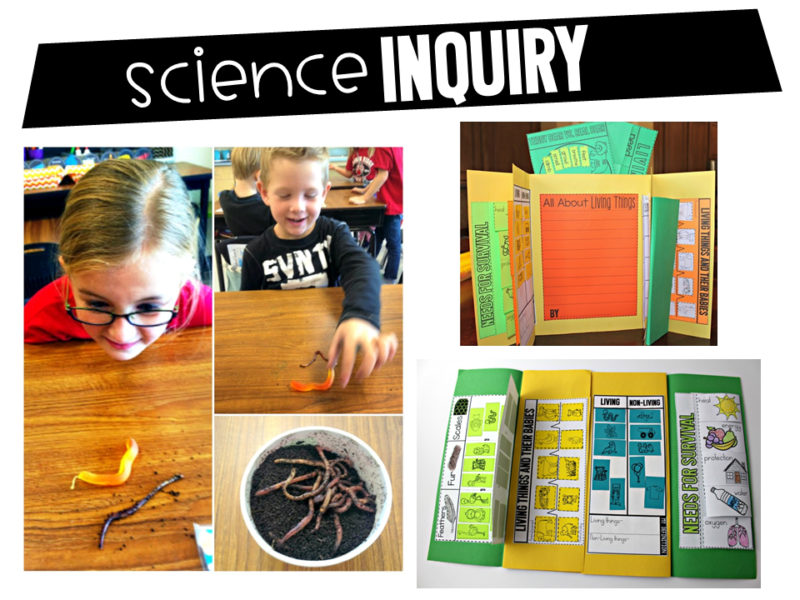 I do my best and most to incorporate all science and social studies standards through writing activities. 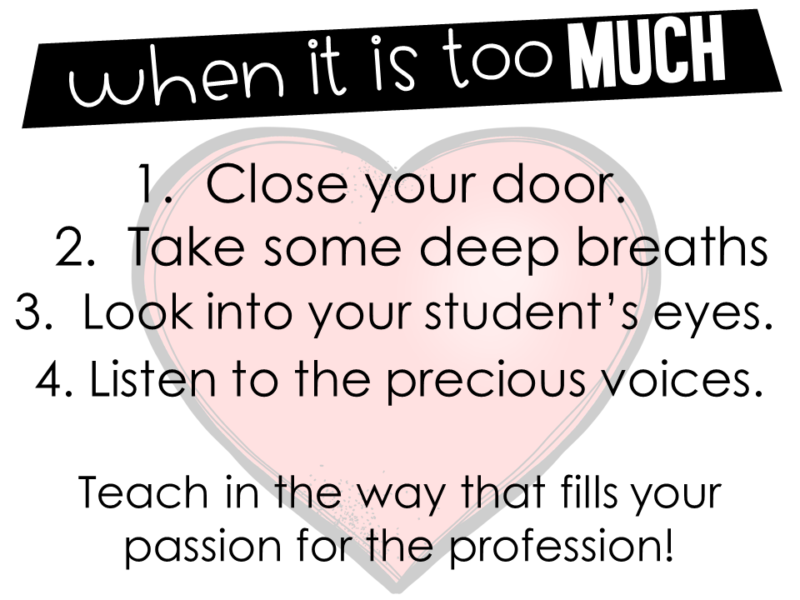 In doing so, I am able to give more time to these areas as well as create a learning experience that makes the biggest impact for students. To teach each of the three, writing, science, and social studies, separately, I found that I had a short, disjointed feeling and I was not able to get it all in! I am going to share what this looks like in this post. If I am choosing to focus on a science standard I will gather read-alouds and create a folder of resources on my computer such as short videos, songs, and images. I will use these as my opening as well as through the mini-lesson if we are working through the scientific method and need to research. Next, we will work on a particular skill of writing as we tie in the learning from science at the same time. Here’s an example lesson that works on life cycles, habitats, and paragraph writing at the same time. 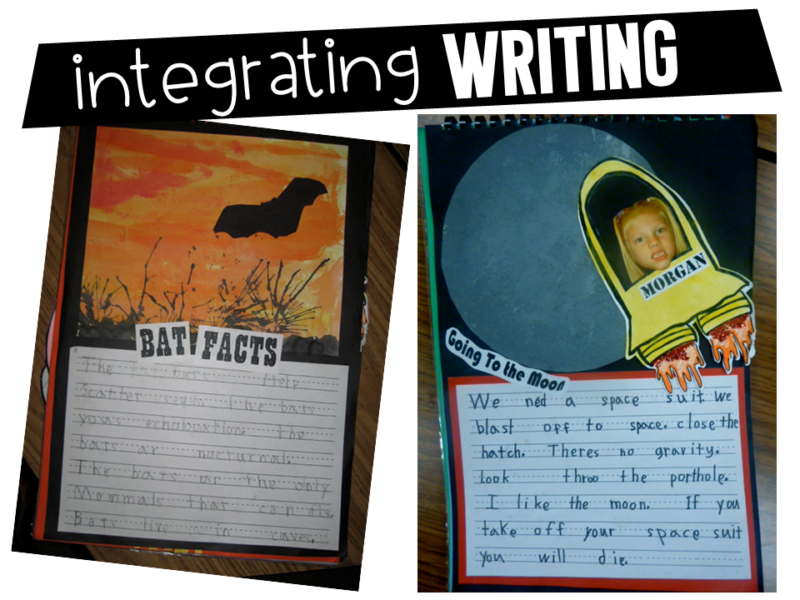 Other examples below show how we incorporate expository text and writing with the topics of bats and space. 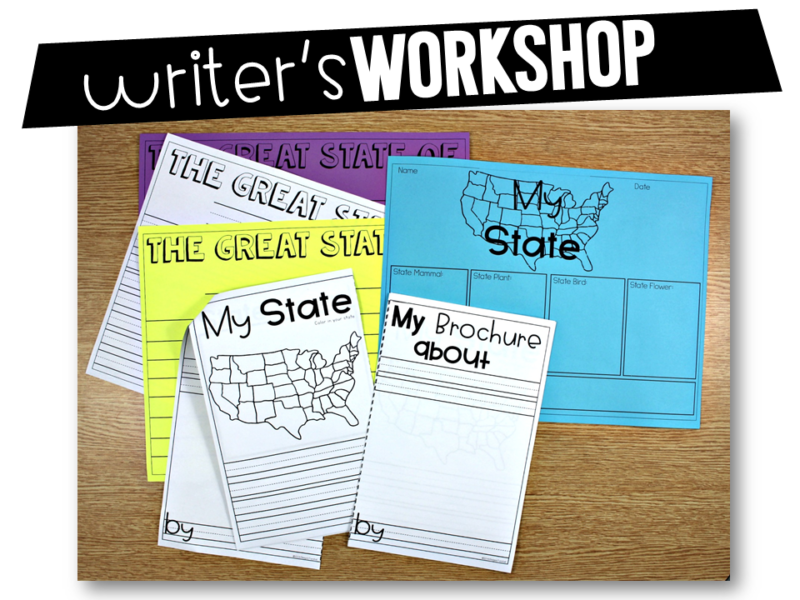 One last example shows how students create a brochure about their state incorporating social studies and writing. 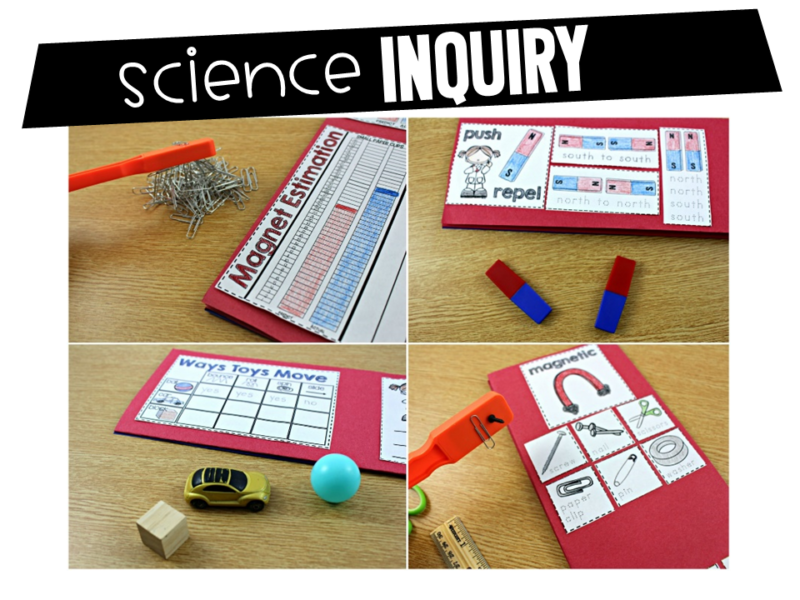 For even more interactive ideas in the area of science, I also have booklets that allow students to work through experiments and activities on the standards through out the year. 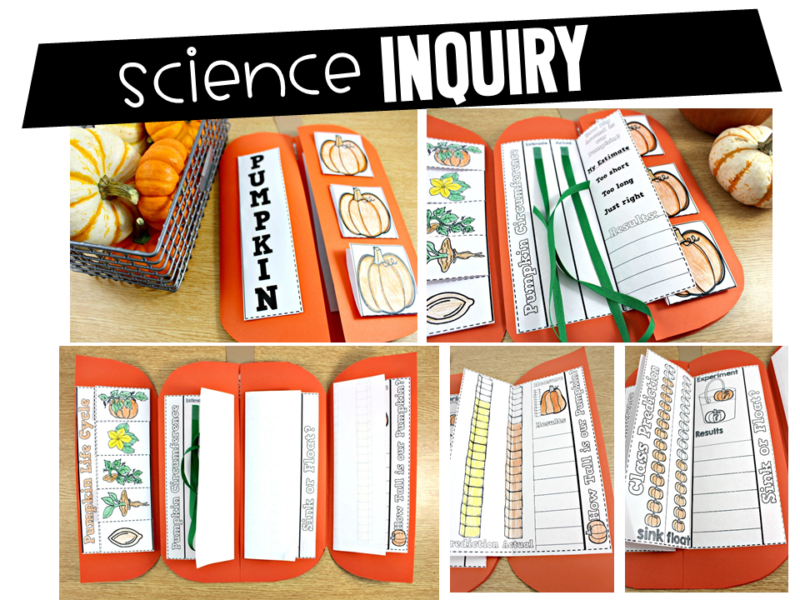 These science topics span from apples to earth day, and are always kept in a fun keepsake booklet. 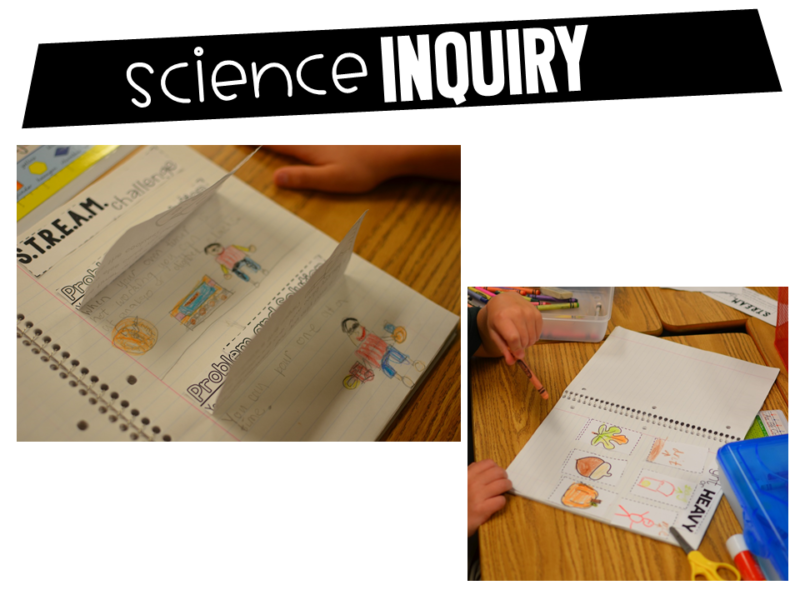 Science Journals also allow for daily writing and ensure that every standard is being applied. At the end of each subject area, students should be engaging in a reflection of their learning. One way that I found made this easy on me while also inspiring for the students, is to do fun reflection stems. I have blogged about this HERE. You can see one reflection card resource below that contains 20 different themed sets of reflection questions for any subject area. Chances are you are feeling a bit glazed over at this point. My best advice is to take one area that you want to improve upon this school year and put your efforts and energy into that one area. This is what I have done over the years. The area that I knew I wanted the most change in, became the focus for that year. Block out what you can and do your best to make that one area the best it can be. The rest will fall in line in time. I love the easel that all the money is on!! It looks magnetic and sturdy. Can I ask where you got it, or the brand? I am looking for one for my classroom. Thank you!! !